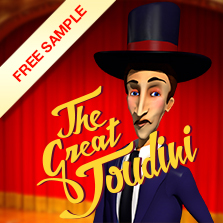 Toudini is a French, elegant, sophisticated, classy Magician who has real magical powers. 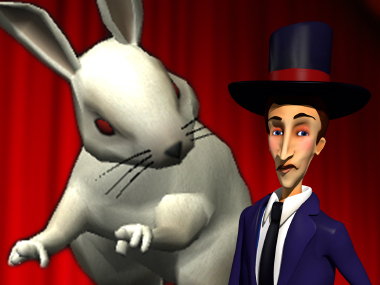 The only problem of this talented magician is that he is very clumsy. 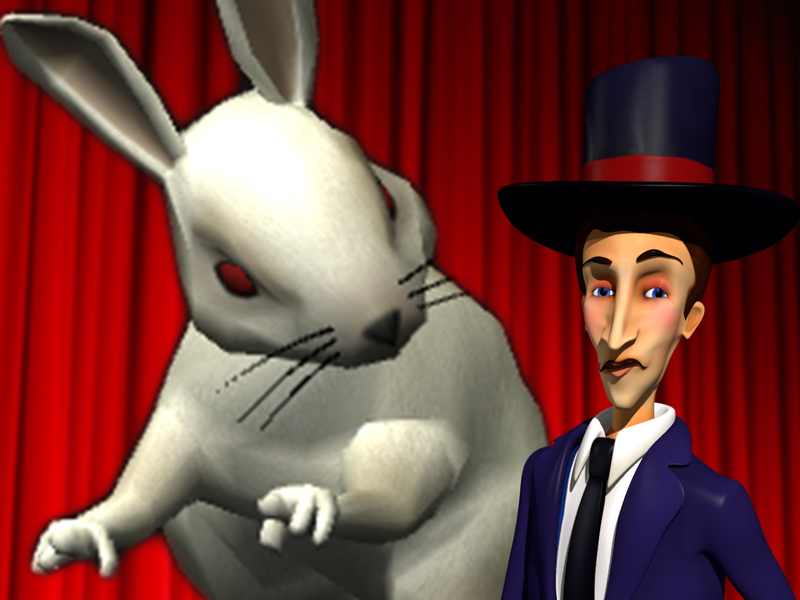 When trying to perform his very complex magic, he always gets things wrong and his magic turns against him. His real name is Jean-Pierre Dupont. Since he was little, Jean-Pierre dreamed of becoming a magician. He grew up reading Houdini's great tales and soon he became obsessed with magic. Toudini is getting ready to perform a great magic act. He wants to transform his rabbit into a small fish.